(3/15) The Exit Exam will be given in two parts, on Apr 29th and May 6th. Each part will is :75 minutes long although lots of students finish quicker. (3/15) The remote authentication scheme has been updated to work with 2017Winter's new SSL certificate and the sample code at /home/tinstructor/web has been updated to use it. Project #3 is an individual project to make your site sell items from your team's shop and earn commissions. The demo at /home/tinstructor/ is set up to do it. Figure it out and make yours do similar. Project #4 is a team project. It's usually the discriminator between A and B in recent years. The points go to the analysis diagrams and other documents that are actually accurate. (3/8) All projects are due by the exam night on May 6th. Get feedback before then, anything seen on the 8th will be graded on the spot. Demo projects when you're ready, they aren't acceptable until they meet the specs, and each feedback resubmit will cost 10% loss of points for the assignment. Please get your questions answered and show me or Silma good stuff. Work at the Command Line! Please, use this exercise to develop skills working at the command line and do not resort to using familiar GUI tools to navigate and edit. WinSCP and FileZilla make copying images and frameworks easy, but they don't develop valuable skills at the command line. Mr Azamadu got advice from a tech hiring manager to make sure he's got command line skills before he shows up for an interview. So, he's keen on getting these arcane skills. I'd add a couple other competencies to that, like cating, tailing and grepping all kinds of logs to see what's going on, making iptables firewalls work, securing a web and mail server, pen testing with Kali tools, &c, &c. Being able to talk about these skills and demonstrate them can make $10++K difference in starting pay. (3/2) Debugging PHP hasn't had a classroom demo yet, so here's some notes about it. 'Tailing the log' to _see_ errors from PHP is essential when tweaking, testing, or debugging the PHP sample code. Keep the tail of the log visible while you work. There'a section about tailing the log on the class' page that needs to be updated to /var/log/httpd/ssl_error_log and not /var/log/httpd/error_log. The web server got SSL at the beginning of the semester and this was overlooked. (2/13) VCU IS participates in a Temple University study of IS graduates' jobs. It's one of the measures used to assess our program for continued ABET accreditation. It's a pleasure to pass along good news that y'all appear to be heading out into a favorable market! If you get their post cards after graduation, please respond to help with their 2019 IS Job Index. (2/11) Accounting due dates: The first 5 point Accounting assignment is due this evening, mid-class as announced. There is no hurry for the second 5 points for Accounting, due on the 25th. Stale notes have been moved to Prior Notes. Here are Notes about Setting up a PAYGO partnership at 2017Winter. Memoranda, Journals, and Good Looking Trial Balance for a startup and a couple days' operations affecting equity, assets, expenses, and income, no liabilities needed. After a demo of the PAYGO Unbrella 2017 Winter accounts will be set up. 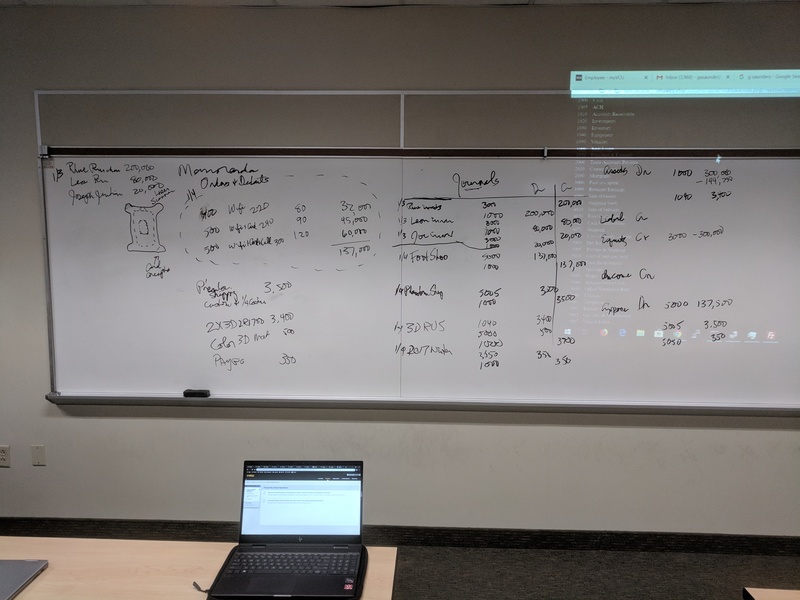 5 Points: Teams confabulate a reasonable startup scenario for their shop, similar to the one scrawled on the board, accounting for a couple days' startup activities and operations. Get it approved to make sure debits and credits are correctly assigned. Use this Chart of Accounts, journalize each day. The fictitious personae of your team's members with accounts at 2017Winter are pleased with their experience and will invest tens of thousands of dollars into your confabulated enterprise to get startup capital. 5 Points: Teams enter and fulfill at least seven orders and details at 2017Winter to account for your shop's or consultancy's startup equity and expenses including items for sale``. Simulate at least three days' operations of your shop. Simulate trade by posting purchase and sales orders for goods or services provided over three days' business. Demo SQL statements for trial balance, journals and an audit trail. (2/11) Get organized in teams of three or four and each get an account at 2017Winter. Please, do it _one at a time_ and pay careful attention to the process. And, strive to NOT CREATE DUPLICATE Accounts! As each team member gets their new Account use the database to track AcctStatus, AcctStatusDT, AcctStatusById during the enrollment of a new Account. Each team, draw a state transition diagram and notes about how the process may be improved. The customer asked to gather contact data and have the new Account holder verify email address before a manager's approval for the next steps and assignment of Roles. There have been reports of 'problems' in registration. You'll need to use a real email address so you can get the approval code. It looks like your @vcu.edu or @mymail.vcu.edu account will work, mail may go into the spam folder, but it needs to be tested for the new semester. Email addresses will be scrubbed at the end of the semester and aren't displayed anywhere except in your Account record and to students who can use SQL. If you don't want to use one of your email addresses, you can use yourid@info465.us and use 'mail' at the command line to get the approval code. You're welcome to use a fictitious name, an anagram of your real name is helpful, to avoid your name showing up in a google search. Use a fake address and phone number. Here are sample quiz questions: SQL Samples. Here are sample quiz questions with answers: SQL Questions & Answers. 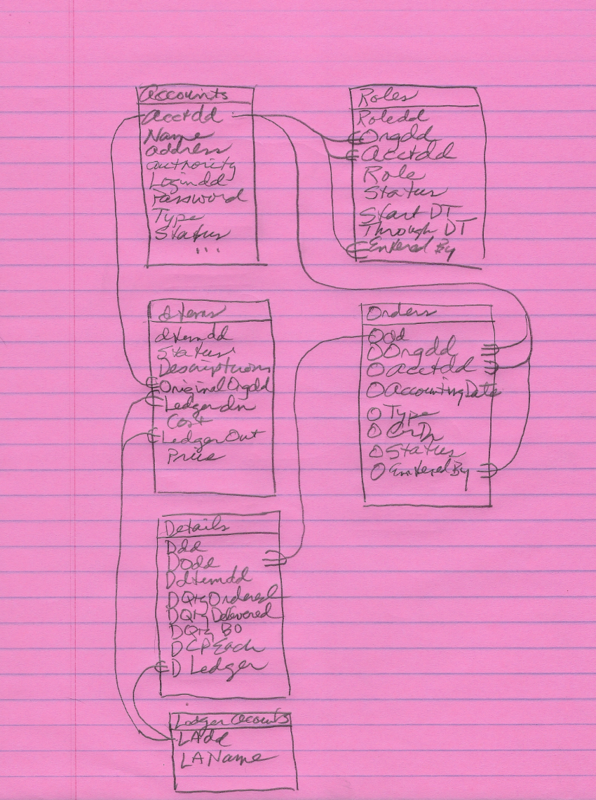 Here is a sketched Database ERD of a database similar to 2017Winter showing the tables that have to do with accounting. Table names and PK/FK relationships are accurate, some column names are not quite. Use SQL's DESCRIBE command to get the exact column names at 2017Winter. 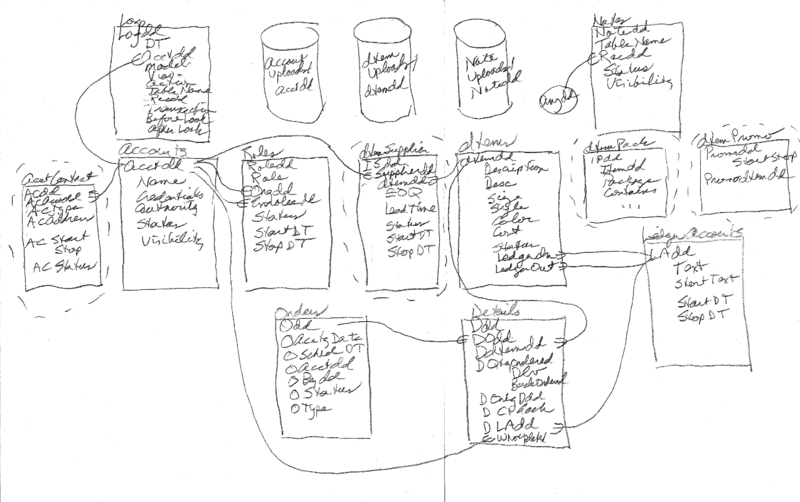 Here's a sketch of the whole database and file system for a system similar to 2017Winter. Tables with dashed lines around them might show up in some other season to help with distribution functions. Demo'd SeSDoC forms: Mobile first, responsive, valid html5 and css. These links were visited and examined in class. They are all dead-simple HTML and CSS, just enough to clearly demonstrate semantic markup of content and forms. Fra Luca Summers is a dead simple responsive site built from the RWD - Responsive Web Design tute at W3Schools, demos two @media breakpoints to optimize display for mobile, tablet, or full-size browser. There is no form to demo, but it's a clean, responsive layout using semantic page elements header, footer, nav, main, and aside. From your web directory you can get the samples from info300.net using: wget info300.net/Resp/index.html, then wget info300.net/Resp/Resp.css. This 20-point project is to put up a demo site that gets all the specs below and will launch from your link at info465.us. Dlv #1 is 5 points: demo a valid, mobile friendly, responsive site that launches from your link at info465.us, identifies your fictitious organization and shows off three items for sale. Get your SiteThumb image or animation in place and set the name of your fictitious hussle into your settings. Use similarly-sized product images with transparent backgrounds, or use identically sized product images. Size images no larger than the largest they'll be displayed on the page, no distortion or pixelation. It's valuable to be able to pick up code and modify it for the purpose at hand, so Copying/tweaking class samples is fine but it shouldn't look exactly like the samples when the project is delivered. Gain familiarity with the Linux command line at info465.us and use it to copy text files, scripts, css, and html from /home/SeSDoC and /home/SeSDoC/web or your framework to your home directory and web directory and tweak them into webpage that shows up from your link at info465.us. Decide whether you'll adapt the sample code at SeSDoC or Resp for your project, or start from scratch, or use a lightweight CSS framework like W3Schools RWD tute, W3CSS, Bootstrap, or something heavier with more pizzazz. Exploring AJAX and jQuery are also worthwhile while you've got a server at your fingertips if web designer is something you'd like to be. Make the html and css suit the fictitious organization, business, or hustle you confabulate for your case study. The index page will become a store-front that earns commissions on sales of at least three products or services. Choose a thumbnail image to represent your site at info465.us and make the site comply with the SiteThumb spec (at the bottom of the Thumbnail page at info465.us) so your site appears in the gallery at info465.us. Transparent backgrounds are attractive, animated gifs of a few dozen frames are fun to see. If you're working from the samples provided, consider the acronymns SeSDoC and SeSPoP as the property of these ficititious organizations and they should not appear in the file or variable names involved in your website. The info465.us enforces these and other specs. No embedded or in-line Styles! This is what 'separate style from content' means! All CSS must be 'external', in a local file linked in the head of the document! If there is an exception, add a style for it in the external style sheet. If there is some reason you must embed or use in-line styles to achieve some effect, please discuss it with the instructor. 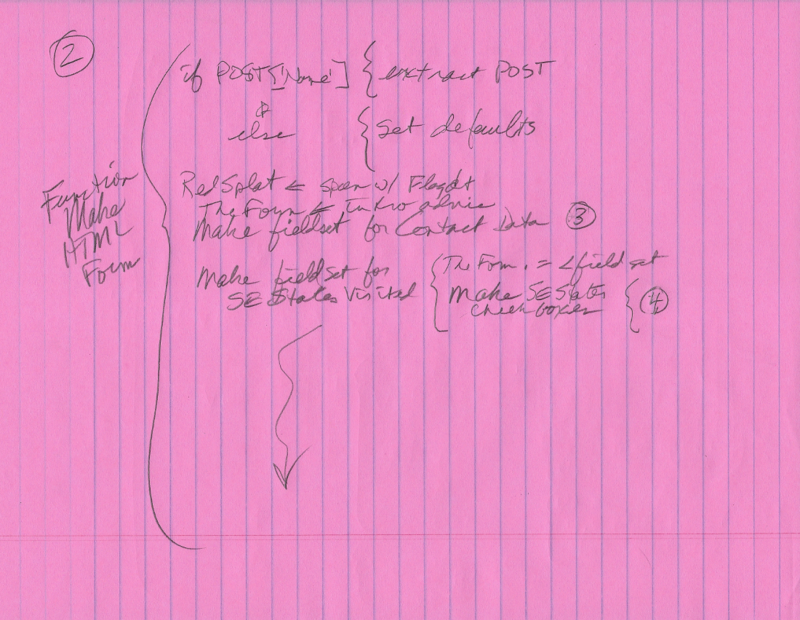 All pages must be consistently styled with the same or similar external css3. If a semantic element exists, use it. Do not use plain divs with ids or classes named like header, footer, menu, aside, or any other CSS3 semantic selector. Don't use frames or iframes, named or otherwise. Make your page a very clear demo of the best markup for semantics and style! Use CSS3's semantic elements for page layout to best advantage: As a minimum, structure your page layout using: header, main, aside, and footer. Use CSS3's form elements to mark up forms: fieldset, legend, and label. The elements in the sample form at SeSDoC define an html form in a standards-compliant way so that is usable in a mobile device without any stretching or tapping and is also accessible for handicapped persons and search engines. Use a grid scheme for responsive design. The samples use the '12 grid' scheme from W3School's RWD tute with Row and Col defined in CSS, amenable to folding for tablets and phones. This also appears in W3CSS and the equivalent is in BootStrap and Skeleton. Optionally, semantic elements article and section may be used to organize featured products or items, newsletters, blogs, and other complex web documents. Styling an article is a good way to implement material web design features like cards. Wildcard classes of CSS3 make it easy to adapt a multi-Column grid system to any kind of device by being clever with object names like 'Col-' or 'Card' to adapt seamlessly with any sized viewport. W3Schools RWD and W3CSS show how to use these wildcard features. These features are well used in most CSS3 Frameworks! CSS styles make it easy to make accordion or drop-down interfaces for the user, or change from a hamburger to a menu when the window gets big enough. Many CSS3 transitions are now supported by current versions of all common browsers and most vendor-specific styles may be retired. There's a lot of value in learning how to do these with native jQuery or one of the frameworks that uses jQuery -- these are the slickest and doing them the way Google does it is a good thing! Set the permissions for your web and any of its sub-directories to 705. Set the permissions for all files in your home and web directories to 604. The intent here is that the web server can read these files but others in the info465 group can't. Project #1's 1st deliverable was a single page, mobile-friendly at google and valid at w3c, website for some fictitious shop or organization allied under 2016Winter's umbrella. The 2nd deliverable is a two-page site that launches from the link at info465.us, showcases at least three products on the home page, and has a form on the second page that has been customized to suit membership or other relationship with your ficititious organization. All css is external, html5 and css3 validates at W3C validators, and all pages score Awesome on Google's mobile friendly test. Project #2 will be to add user authentication and update the database using the form built in Project #1 Dlv #2. 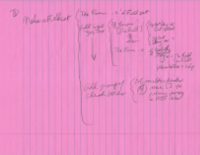 At first view, the user sees an empty form with input elements labelled and grouped within captioned fieldsets. The form demonstrates at least these input elements: text, textarea, checkboxes with multiple checks, radio buttons, and a select with multiple options. The form is constrained to a max width of 800px or 960px centered in a wide-open browser, and is responsive for easy use on a phone or table down to 640px. Prompts/labels are right-justified in a fixed width label next to the input elements where there is room, maybe sliding over them on a phone. See SeSDoCForm.php for example. Make the form gather first and last names and a mailing address with street, extra line, city, state, and zip. The other fieldsets for your form may resemble those at SeSDoC but should gather other data appropriate for your confabulated organization. All form elements and variables in HTML and PHP must be meaningfully named. Do not, for example, prompt for Favorite Sloth with a form element named like FavoriteSEWeather. Make your form gather data in all the controls in the SeSDoC examples: radio buttons, check boxes, single and multi-option select, text, and textarea. At least two of the multi-select or check boxes should have 30 or more options read from a file, similar to the SeSDoC examples. The PHP script that receives the form's POST data validates it, too, even more thoroughly. If there are errors in the form submitted by the user it is re-presented to the user with the errors flagged, preferably with large asterisks in a contrasting color, or changed background on input, and all the original text, checked checkboxes, and selected options set as the user submitted them. When the form validates with no errors, the form is returned to the browser with all its data, including selections and checks, and a note advising the user that the form appears valid but may be revised and re-submitted. The form will be connected to a database in a later assignment. Look for code to prevent SQL, html, css, or script injections! The sample scripts are vulnerable! Things not looking right in the browser? Maybe getting an empty page back or missing an img? Tailing the log might help: Open a new ssh window and log in to info465.us. Use this to show the tail of the log and follow it, replacing 'yourlogin' with your login id at info465.us. This will show errors produced by html or scripts from your directory when you load or refresh a page so keep it visible while you work. Use ctrl-c to stop tailing the log. Debug HTML and CSS using the W3C Validators for HTML and CSS. Make sure any templates used will validate! Take care to output valid HTML from PHP scripts! 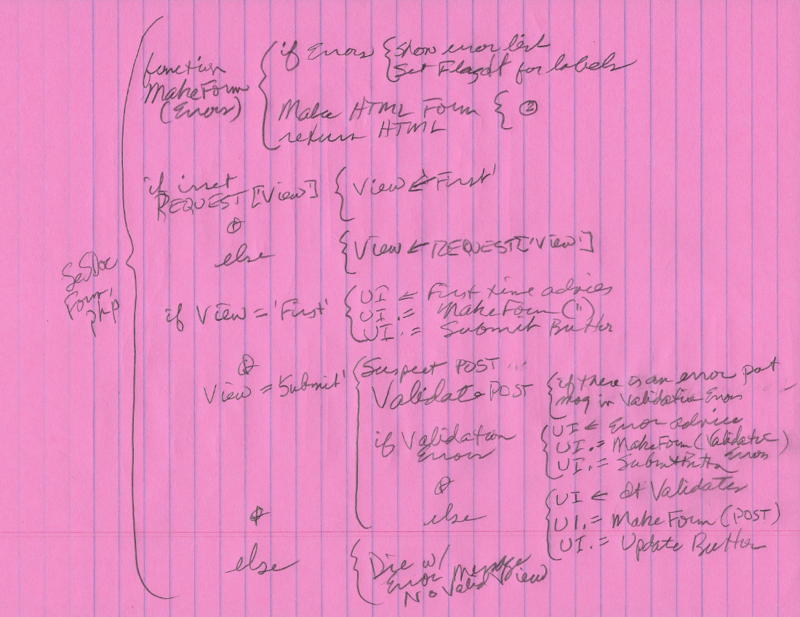 Forms behind an authorization must be copied from View Source and validated by pasting it into the Direct Input tab. Debug PHP by tailing the error log as described below. This will catch syntax errors. If errors don't show in the logs then you're trying to find a logic error and need to place echo/exit statements (echo $ThisVar; exit;) in the code to confirm that a script executes at all, or gets to a certain place, or to examine the contents of variables. Clicking a link in a browser or clicking the → in the address bar does not refresh a page! Clicking the refresh button or hitting ctrl-r will (usually) refresh the page. If you're programming without the developer and debugging tools running, you're just guessing and frustrating yourself and ticking off the intructor in lab, and will likely inject numerous errors in the code while blindly trying stuff. Keep the debuggers visible at all times even if everything appears OK since they may be showing warnings that detract from a professional result. Developer's Tools vary a lot from browser to browser! Some even takes lotsa seconds to load and cause the fans to come on just to show all the charts and graphs! The instructor usually debugs with FireFox Developer Tools, W3C, and Google, then Chrome on an Android, then Safari on a tablet, then with FireFox Developer Tools, then Chrome on a notebook, then Edge. Make sure you know how to refresh components in whatever Developer's Tools you use since many ISPs cache static content and don't recognize file changes on the server! Firefox and Chrome's source views flag some HTML and CSS errors, are quicker than the W3C Validators. 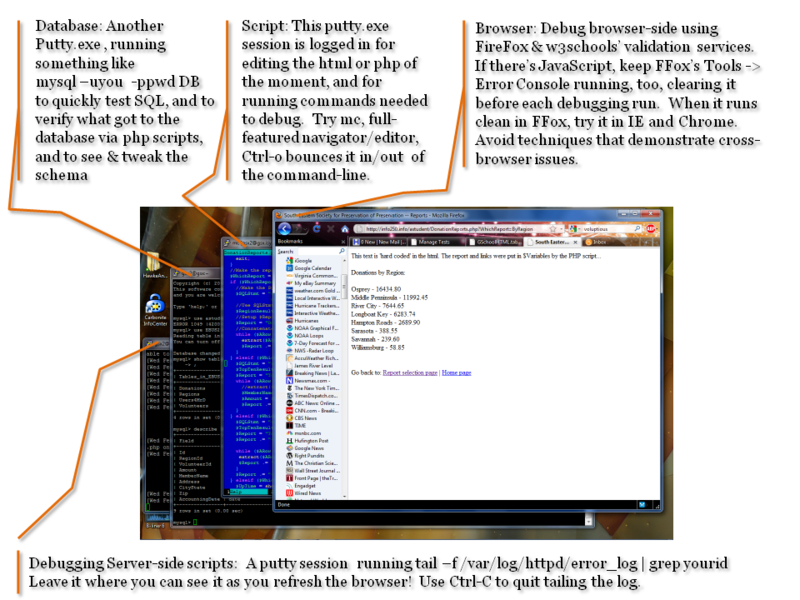 FireFox and Chrome both allow Ctrl-u to get to source code, others substitute their own overblown developer's tools. Keep the tail of the error log visible at all times as you code! If you're getting an empty page back or unexpected results from a PHP script, or missing an image /var/log/httpd/error_log will likely show the error. Open a new ssh window and log in to info465.us. Use a command like this to show the tail of the log and follow it, replacing 'yourlogin' with your login id at info465.us. This will show errors produced by html or by PHP or other web scripting languages from your directory when you load or refresh a page so keep it visible while you work. Use ctrl-c to stop tailing the log. If there are no errors in httpd/error_log but the script isn't producing the correct web page, place echo statements followed by exit at strategic points in the PHP code so you can _see_ what's going on before the HTML is pitched. Use the W3C HTML and CSS validators early and often and don't continue debugging until they are valid. 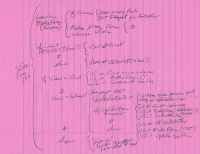 Design for mobile first with viewport set, then tweak @media queries for larger displays. Use Google's mobile friendly test, try W3C mobile validator for more of a challenge. Use info465.us/2017Winter's Log In or Get An Account dialog, at the upper right where 'Web 2' says it should be, for each team member. Do it one at a time while Rowdy Chihuahua or Rhue Pinscher are available to authorize accounts. Watch the process carefully so the team can get an accurate state transition diagram together for the project's deliverable. If anything's unclear in the process or some non-fluency is discovered please document it so we can get it to the attention of the developers next time we can catch them. Errata: info465.us is not set up to get email to you @vcu.edu, but works almost everywhere else. Using a gmail or other email account where you can click on a link to validate your email is easiest. If you don't want to use a real email address, use your userid@info465.us and the command line's mail to read the email validation code. PHP code is available read-only in /home/2017Winter/Web. Demo in class showed PHP's session_name, session_start, session_destroy and also looked at a session cookie under the i-spot in the browser and session data kept in /var/lib/php/session on the server. LogIn.php authenticates via web-service at 2016Winter by opening a pipe to handle a request with userid and password and response with not-valid or user's name. LogOut.php uses session_destroy to clear all the data from the session on the server. Every 'protected' php script requires SiteSettings.php which blocks access to pages if a browser's not logged in and redirects the browser to LogIn.php or index.html. Find these features in the code and be prepared to explain them. Modify your site at info465.us to work similar as the example at info465.us/tinstructor, making a link like 'Members' prominent on your existing page. The project is to make your site authenticate users with 2016Winter credentials and provide forms and content to logged-in users only. If somebody tries to access a 'protected' url, they should be directed to the LogIn script for authentication, then to the url they attempted to reach. The specs for the behavior of the form are the same as Project #1, all input elements should be returned with text, checks, and selections the same as the user entered. And the user should be able to re-submit a form if they notice an error. The specs for Project #1 were intended to make a form that can easily be secured and used to update a database. The sample scripts are available from the command line in /home/tinstructor/ and /home/tinstructor/web/. /home/tinstructor/SiteSettingsSample.php is available to copy and modify to suit your Site. Leave the functions intact. Edit at the top and bottom to supply _your_ SessionName and database credentials. Take care not to clobber your existing SiteSettings.php when fitting the new script in your account. Copy these scripts to your web directory: TemplateSeSDoCForm.html, SeSDoCLogIn.php, SeSDoCController.php, SeSDoCLogOut.php, and SeSDoCApplicants.php. SeSDoCCommissions.php is not available to copy. After you've made them run, edit them to suit your site and database. require SiteSettings.php from your home directory and call its function AllowLoggedIn() to protect the page from those not logged in. A function UpdateMemberApp(), after MakeTheForm() inserts a new or updates an existing record in your database and returns the current value of MAId. The code for View == "Submit Form" in the mainline has been tweaked to call UpdateMemberApp() and pass the newly generated key MAId back to be hidden in the user's browser so subsequent updates will be written to the new record. Find these and edit them into your script. 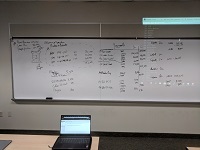 Notes about SQL scripting at the command line are at MySQL/MariaDB Scripting and were demo'd in class. Please take care not to destroy your working php script as you add code to support database update! Make local backup copies so it's easy to revert to working code if you hose up the script while adding database update. HTML form handling, securing web pages, and updating a database in a structured environment are inherently complex tasks. Make sure you're keeping copies of your working scripts before each session so you've got something recent to roll back to. This is 10 points for individual effort and 10 points for teams. Teams setup Items in their shop at 2016Winter to be sold under the PAYGO commission agreement by each of the associates. This is demonstrated in the 'Click to Buy' links for Pacioli's books at info465.us/tinstructor. Each student's shop at 2016 Fall has a link added to report commissions earned on the three items offered. Teams contrive several purchases at their shops and the shops of other teams using the fake accounts with credit acconts issued by an ELand ACH. Shops need a good-looking trial balance put together with at least a dozen orders and journals showing startup and a couple day's operations. QOH for items in the store should be reasonable to support on-line sales. Teams thoroughly document the 2016 Winter PAYGO Umbrella's system as built. 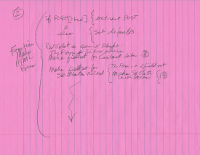 Team members note which portions they authored, and all team members should be involved enough with the project so they can claim it as an exhibit in their professional portfolio. Individuals, or those fired from a team, may negotiate a subset of the UML Diagrams and other documents. 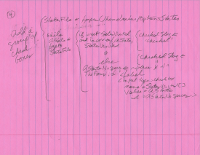 All documents must use recognized shapes from the UML suite of diagrams. Project #4 must be submitted in printed form and also in a single pdf submitted through BlackBoard. Brief description of the PAYGO umbrella and it's methods for netting out umbrella fees and paying commission. Describe the prototype application and loose case study used for the class. Screen shots of team's shop and an individual's shop that details how commissions are earned. 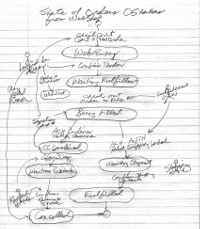 UML Use Case Diagram to support these Actors: Any user, logged in user, fulfillment crew, employees, organization manager, and site manager. 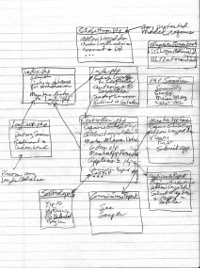 Make sure the use case diagram carefully documents the menus at 2016Winter. Class Diagram of the application software to support Login, Controller/Menu, and choices from User, Employee, and Org Managers' menus. Attend to the address bar as you use the application to see the models (*.php) and views involved. 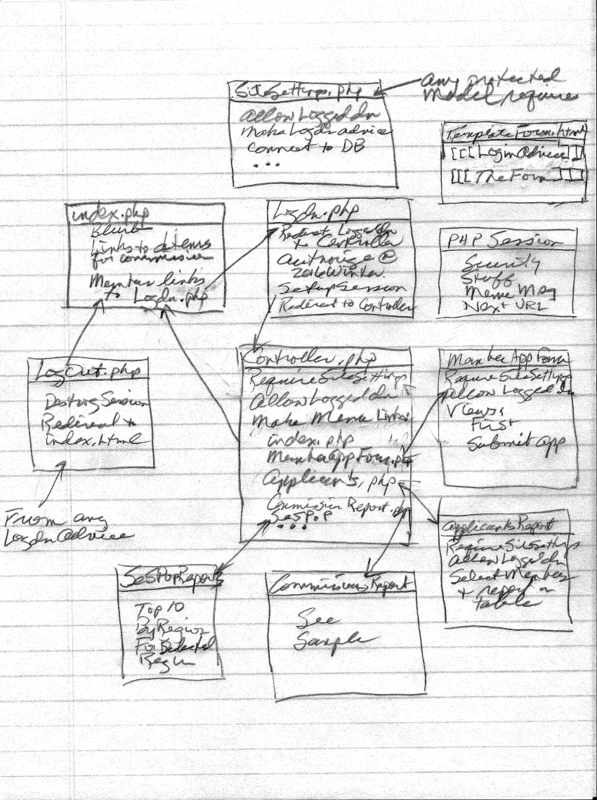 Database ERD showing tables to support this semester's case study. Use crow's foot or other notation to show one-to-many PK/FK relationships clearly. Include enough columns that the user of the document can clearly see how these tables are used in the application, then use ... to indicate there are more. Avoid crossed lines! Don't use what might be called a Database Entity Relationship Model where key fields are shown as balloons! 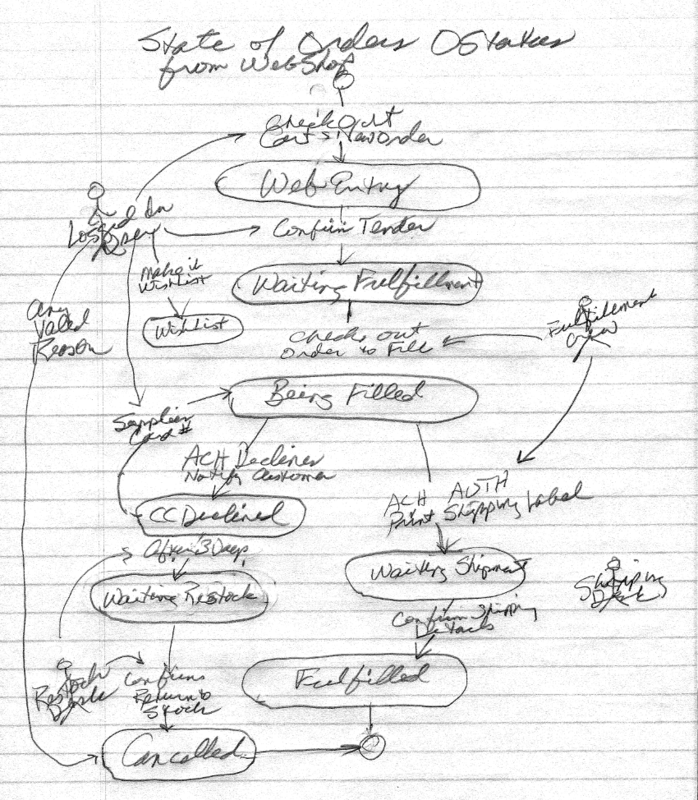 State Charts for: Accounts from 1) Get an Account through Active; 2) Orders from WebSale through ACH and Fulfillment. For Accounts the state is AcctStatus, for Orders it's OStatus. The top of each block for a state is the status of the record. Describe the transitional event in a diamond or with text on the line representing the transition. Detail the steps in the periodic PAYGO settlement process from web shop sales. Rowdy Chihuahua or other Site Manager can describe this. 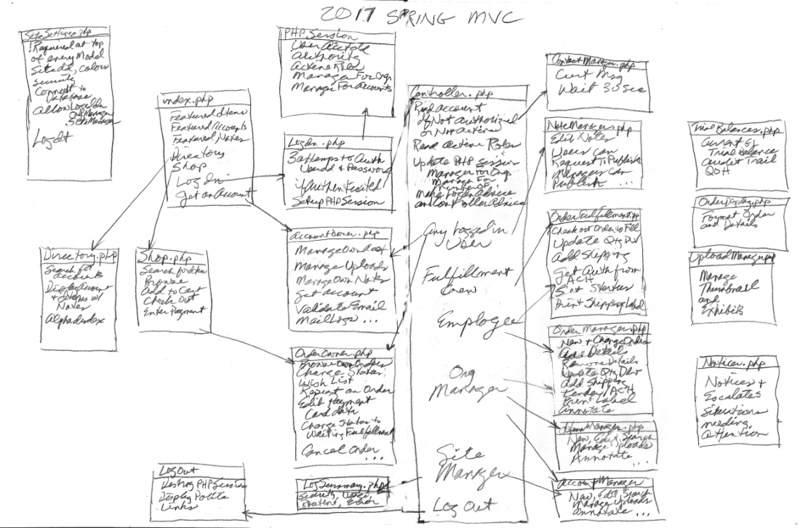 This a rough Class Diagram for the MVC-Model View Controller scheme similar to 2016Spring. The UML doesn't have a MVC in its set of diagrams quite yet, but the Class Diagram is easilty adapted to reflect the popular design pattern. 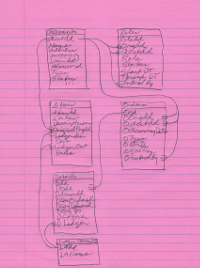 The blocks in a UML Class Diagram typically show Name of the class, its methods, and its properties. Here, to make it fit a MVC, the block represents a model (aka script) instead of a class. 'View' is substituted for method, where the models consistently use HTML GET or POST data in $_REQUEST['View'] to control their output. The biggest block in the diagram is Controller.php, 'the controller', which surveys the environment for a logged in user and provides a menu of the models and views appropriate for their authority and roles. Please, improve on the diagram if you choose to use it as a model for your Class diagram, and make it a tighter fit to 2016Winter. Its important for somebody wanting work in app dev to have a ready reference to a Model View Controller and be able to talk about it, sketch it, or sit down and develop with it. The MVC is a popular and powerful design pattern implemented in many development environments in many ways. Visual Studio's MVC is highly abstract with a steep learning curve, which it's well worth climbing since it takes best advantage of the .NET Framework. Django is in many ways a MVC, as are other frameworks for application development. 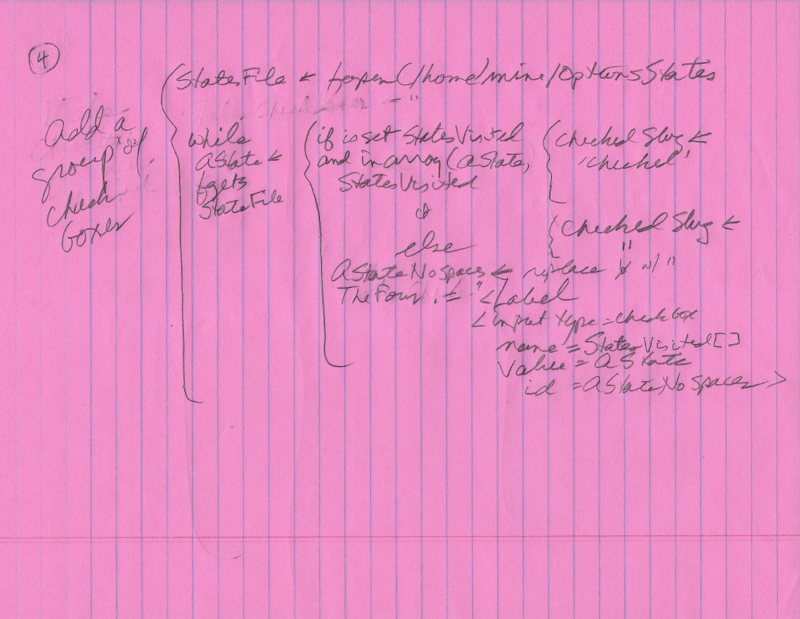 This is a rough UML State Chart, or state transition diagram, for Orders OStatus from check-out through fulfillment in an application similar to 2016Winter. It's reflects changes from 2016Winter that involve a shipping desk after the ACH authorizes the credit card.